Find articles to read this summer by clicking on the “List of Articles” tab above. We hope you will enjoy these videos and photos of summer activities in British Columbia. BC Day is the first Monday in August. British Columbians relax with family and friends. or camp and enjoy nature. A few facts about B.C. for more than 10,000 years. 2. A bill to begin a BC Day was first introduced in Parliament in 1974. 3. British Columbia is between the ocean and mountains. symbolize the Rocky Mountains and the Pacific Ocean. 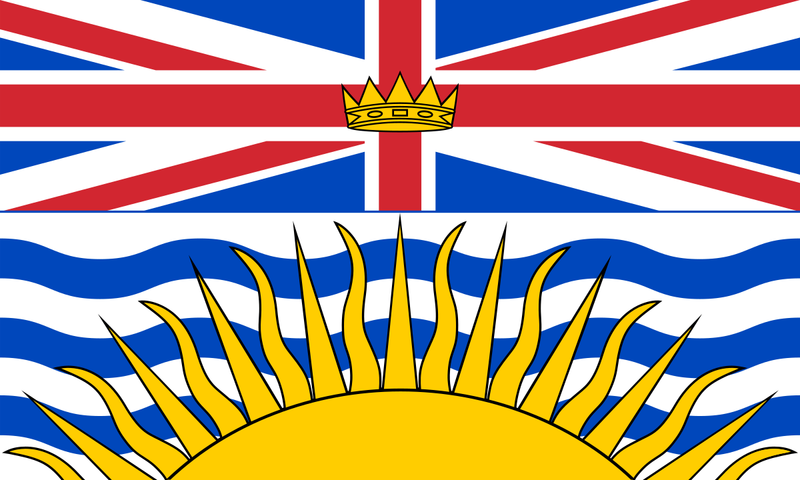 BC is Canada’s westernmost province. On the flag, the sun is setting. The Union Flag on top reflects BC’s British heritage. The crown in the centre symbolizes the Canadian Royal Family. 4. BC’s provincial mammal is the Spirit Bear. Click here to read The Westcoast Reader story on the Spirit Bear. 5. BC’s provincial flower is the Dogwood. The dogwood is on the front page of The Westcoast Reader newspaper. The dogwood is a flower native to BC. 6. The longest river in B.C. is the Fraser. It is 1,399 kilometres long. 7. BC is about 10 percent of Canada’s land surface. 8. Only 30 countries in the world are bigger than BC. 9. Many movies are made in BC. BC is North America’s fourth-largest film and television production centre. Click here to read many more facts about B.C. Originally written by Nila Gopaul and posted summer 2015. Updated for 2017 by Patty Bossort. We have about 2000 forest fires every summer in BC. Forest fires are also called “wildfires”.Many hectares of forest are lost every year. Sometimes homes are lost, too. The wildfire season starts when the forest gets dry in the spring.The fire season ends when the forests get wet from rain and snow in the fall.Wildfires happen in forests and grasslands. Summer and early fall are dangerous times for fires. To see a video about wildfires go to BCwildfire.ca. To see another videos about wildfires go to BCwildfire.ca. This link is a silent video that gives written guides for care around campfires. If you see a wildfire, report it. How can I report a wildfire?